Hey there, fellow newbie to systems librarianship! Have you had a moment to take a breath yet? Are to-do and to-learn lists scattered in a notebook, calendar, and in your e-mail? I am right there with you. I moved into my role as systems librarian in January 2018 after serving as access services librarian and circulation services manager. Moving from the “front of the house” to “behind the scenes” was a huge transition for me, yet I was excited to learn a new set of skills. My library has not had a dedicated librarian to systems management for almost five years. I am now a department of one within my library and establishing a foundation of all things systems. About one month in to my new position, I got to experience my first major issue. My library’s users were unable to access a popular database. After testing the issue myself, I had to figure out who could help me. It took another month to diagnose and correct the issue, and it involved me being the communicator among three different entities. I learned a lot about technology during that month that I had not previously learned, and I also learned a lot about whom I needed in my corner. 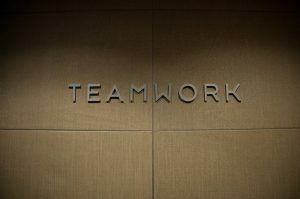 Teamwork by William Richardson is licensed under CC BY-NC 2.0. As you establish yourself in your new role and understand all the responsibilities on your plate, it is important to evaluate with what other departments and groups you may need to communicate. (Public librarians: Please leave comments with advice from your perspective.) I’m going to assume that your responsibilities affect other departments and other departments may have an effect on your responsibilities. Who might you reach out to? Your coworkers. Pick the brains of anyone in your library who may have managed even an iota of what you are doing. Learn about all the vendors your library has products with. See if anyone has expertise in an area you need to learn about but have no idea where to start. Learn about ways tasks were previously accomplished, what things have never been tackled, the goals of the library in relation to your responsibilities. The IT department. If your users have issues with usernames and passwords, your friends in the IT department may be the best resource for you. Find out if there is an internal ticketing system you should use to report an issue. You may also want to ask your IT department about IP addresses. You may need to work with IT on proxy servers. One project I’m tackling is a single sign-on option for our off-campus users to access our resources. My discussion started with our IT department, as they manage the single sign-on for other resources on campus. Vendors. Is managing electronic resources is part of your job? Reach out to vendors to introduce yourself. Make sure you have usernames and passwords set up to administrator modules. Find out who you contact to report issues. Much like the IT department, there may be a ticketing system you need to use. Same thing with your integrated library system (ILS) – Who do you contact for support? Do you have all the permissions you need to manage the ILS? The marketing department. You may be in charge of your library’s website. Find out what the policies and procedures are for your library’s page, what credentials and training may be required for you to maintain it, and who to reach out to if you need assistance. If your library’s website is hosted elsewhere (such as LibGuides or WordPress), ask your marketing department about a branding guide to ensure your website meets institution standards. If you need any graphics created and do not have a creative bone in your body (this is me), start with the marketing department. 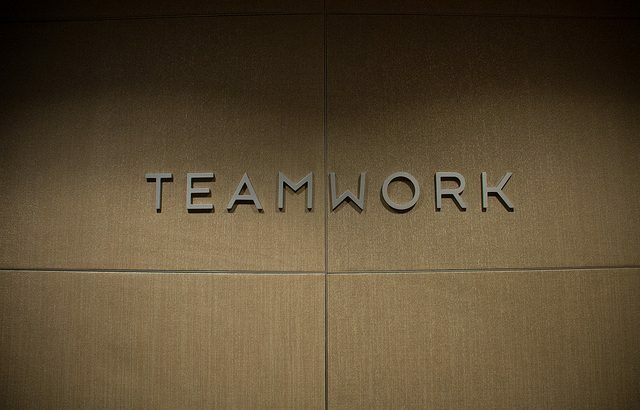 Remember: Teamwork makes the dream work. What other departments or organizations have you found that are important to your work? Who else is important to have on your systems team? General information, Library experiences, Website management and User Experience how to, systems librarianship. permalink. Thank you for the article. From a public library perspective, social media is an important aspect that most likely does not have an adequate amount of resources assigned to it, and as a Systems Librarian these duties may fully or partially become a responsibility. It is important to find out who currently performs social media tasks and to assert some consistency and accountability in a way that includes those who have done this work. If possible find ways to keep them involved or delegate and let them continue to run social media. If a Systems Librarian is responsible for social media and that person delegates the duties, researching and understanding the technical and social aspects is still necessary to ensure the social media accounts are being used as effectively as possible.